The Windows network drive is a convenient location for file sharing within your network. Unfortunately, accessing these files from remote locations, such as the airport, home office or train, is nearly impossible without an internet connection and then, often possible only through a VPN connection. To address the growing need for such access, many users are turning to products like Dropbox to collaborate inside and outside the organization. This opens your organization to considerable risk and removes all IT visibility and control over sensitive corporate data. With Datto Drive, users can now leave Windows network drive files where they belong, on your network, and still enable remote file access for end users no matter where they happen to be working. Provide access to Windows network drives from any device. Leave files in Windows network drives where they remain subject to governance policies. Maintain IT control and visibility AND provide end users the experience they demand. 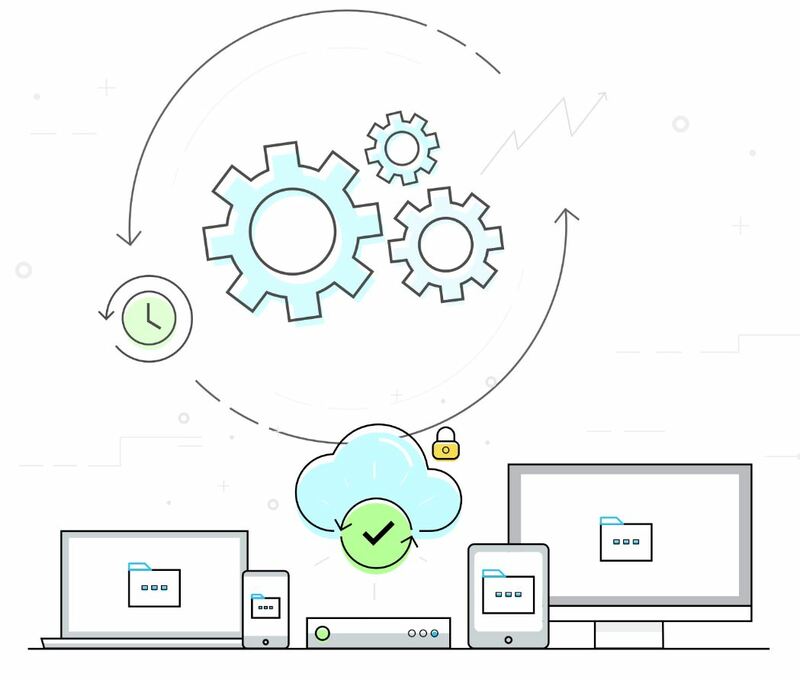 Datto Drive allows users to securely access and sync all of their Windows network drive content no matter where users are working, no VPN required. Datto Drive’s Windows network drive integration provides users a mechanism for connecting to their Windows network drives and documents. The administrator configures the app in the Datto Drive administration interface as well as the requisite credentials to enable validation. Once configured, Datto Drive treats the Windows network drives as an external storage location, enabling mobile, web and sync client access, sharing and synchronization. Administrators may choose to integrate one, or multiple network drives within a single Datto Drive instance. Everywhere access. Users have access to their Windows network drive document folders and files within the Datto Drive web and mobile interfaces. They can even sync selected folders from the Windows network drive to their desktop with the Datto Drive desktop client. Flexible control. Administrators can integrate SAML and Active Directory for user authentication, or deploy a custom mechanism. Rapid integration. Configuration and validation can take fewer than 5 minutes. Automated synchronization. Updated files are bi-directionally synced automatically. Optionally, users may be allowed to connect their own Windows network drives. Consistent security. While Windows network drives are accessed via Datto Drive, Windows network drive access controls are followed. For example, users with read only access on the Windows network drive would also have read only access in Datto Drive.